Ghana will amend the Company’s Act-1963 (Act 179) next year to unmask the real owners of businesses that are registered under the law. The amendment is also intended to incorporate provisions on beneficial ownership disclosure in the law to ensure more transparency, accountability and prevention of corruption. The incorporation of beneficial ownership disclosure clauses is also intended to prevent a situation where some Ghanaians front for foreign companies. Beneficial ownership is defined in the Company’s Act-1963 (Amendment) as “a person who directly or indirectly ultimately owns or exercises substantial control over a person or company”. 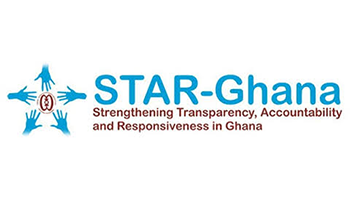 The Registrar General (RG), Mrs Jemima Oware, said this in her presentation on the status of Ghana’s readiness to implement the beneficial ownership standard in Accra last Wednesday. 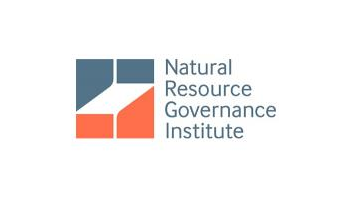 The meeting was organised by the Ghana Integrity Initiative (GII), the Natural Resource Governance Institute (NRGI) and the Ghana Extractive Industry Transparency Initiative (GHEITI). The meeting was supported by the UKAid and Transparency International (TI). Civil society actors at the meeting discussed the proposed incorporation of beneficial ownership disclosure clauses. 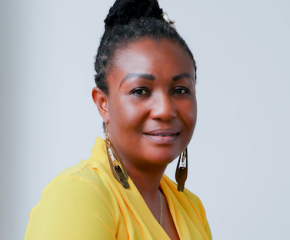 Mrs Oware said the government was committed to the beneficial ownership standard and explained that the passage of the Company’s Amendment Act had to be stalled last year for the lawmakers and other stakeholders to deliberate more on the provisions on beneficial ownership before the law was passed. She conceded that the incorporation of beneficial ownership clauses into the Company’s Act would involve a lot of commitment and work. She expressed satisfaction with the support of Strengthening Action Against Corruption (STAAC) and the United Kingdom government, that were supporting the department in the establishment of a beneficial ownership register. Apart from helping to fight corruption, beneficial ownership laws or standards are required in Ghana because of the commitments made by successive Presidents. In 2003, Ghana committed to the Extractive Industry Transparency Initiative (EITI) that requires transparency in its extractive sector. In 2011, President John Evans Atta-Mills committed Ghana to the open government partnership that calls for open and transparent governance. At an anti-corruption summit in London in 2016, former President John Mahama committed the country to anti-corruption standards, including beneficial ownership disclosure laws. In a presentation on the importance of beneficial ownership in Ghana, Ms Edna Osei of the NRGI explained that because beneficial ownership was obscure, corruption and tax avoidance schemes were used to deplete resources from countries. The beneficial ownership disclosure laws were, therefore, important to lift the veil from such people and prevent corruption, particularly by politically exposed persons (PEPs), who are politicians entrusted with enormous resources. A consultant, Mr Samuel Bekoe, took participants through beneficial ownership policies and standards and how information on that could be obtained, recorded and disclosed. 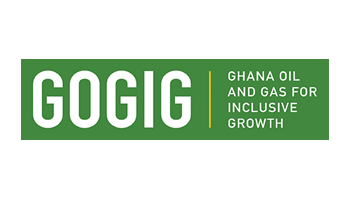 An official of the Office of the Administrator of Stool Lands (OASL), Mr Dickson Agbogah, told participants that the country had a good legal framework for the establishment of beneficial ownership disclosure laws, while another consultant, Mr Emmanuel Kuyole, identified gaps in the beneficial ownership provisions to be incorporated in the Company’s Act. The Co-chair of GHEITI, Dr Stephen Mantheaw, underscored the need for education and the sensitisation of Ghanaians to standards to effectively fight corruption. Participants had a debate on access to the information on the beneficial ownership register to be established by the Registrar General’s Department.